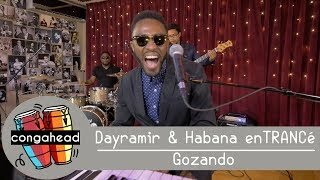 Born in Havana and mentored by the legendary Chucho Valdés, Yamaha-endorsed artist and pianist Dayramir González brings his innovative style and infectious rhythms to the true traditions of Cuban music mixed with the contemporary clave of Afro-Cuban Jazz. Special guests will be featured throughout the night, so get settled on the dance floor for an evening of non-stop hip shaking. This performance is supported in part by Jewel Members Jan Fogelman & Mitch Fogelman, Robin & Gary Ungar, and Debra Peterson.